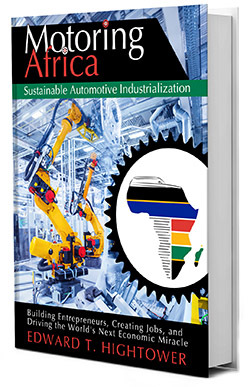 Edward Hightower is an accomplished global automotive engineering and business executive, entrepreneur, and now author. He is managing director of Motoring Ventures LLC, a private capital investment, and operations and growth advisory firm. Previously, Hightower led GM’s $15 billion global crossovers business as executive chief engineer and vehicle line executive; and served in leadership roles at BMW and Ford. He also worked as a hands-on management consultant at AlixPartners, LLP. He has extensive experience in Asia, Africa, and Latin America. 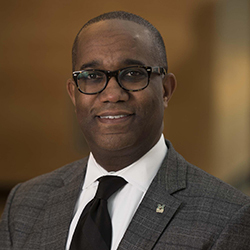 Originally from Chicago, Hightower earned a BS in General Engineering from the University of Illinois at Urbana-Champaign and an MBA from the University of Michigan Ross School of Business, where he served as chairman of the Ross Alumni Board of Governors. He is a life member of both Kappa Alpha Psi and the Council on Foreign Relations. Hightower is a fourth-degree Black Belt and certified sensei instructor of Isshinryu karate. He and his family live in metro Detroit, Michigan, USA. © Copyright 2019 Edward T. Hightower. All Rights Reserved.